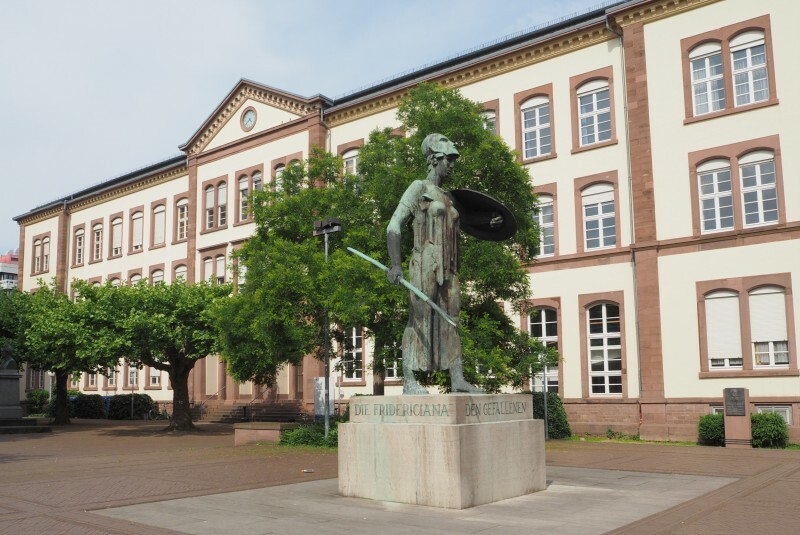 The venue for the conference will be on the south campus of the Karlsruhe Institute of Technology (KIT). 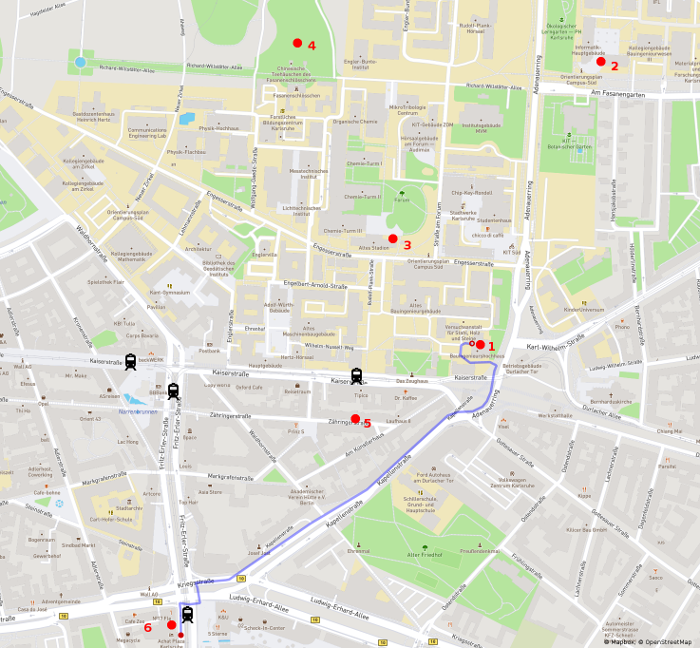 The closest tram stop is “Durlacher Tor/KIT-Campus Süd”. The campus is at the north eastern end of the pedestrian zone and well connect to the public transport. The core days are located in building 10.50 and the BoFs and the workshops will be located in the Department of Informatics inside building 50.34. The workshops and the BoF sessions are located at the Department of Informatics about 10 minutes walk from the tram station “Durlacher Tor/KIT” at the north eastern end of the university campus. The core days are located in the foyer and the two main lecture halls of the building of the civil engineering department. The building is about 3 minutes by foot from the tram station “Durlacher Tor/KIT” and about 10 minutes by foot from the Achat Plaza. The Z10 is a student run and student owned bar close the tram station “Durlacher Tor/KIT”. The Saturday social event will be held there. The AKK is centrally located at the campus of the KIT and directly north of the tram station “Durlacher Tor/KIT” and about 3 minutes by foot from the building for the core days. The Thursday evening pre-registration event will be held there. The Fasanengarten is a park north of the university campus and will host the Friday picnic with the annual GUADEC football game. It is about 3 minutes by foot north of the AKK.